How Is Sideswipe Collision Fault Determined in New Hampshire? Sideswipe collisions can be just as catastrophic as head-on or rear-end collisions because they often happen at high speeds. But how is sideswipe collision fault determined? And how does New Hampshire’s comparative fault system work? If you’ve been in a sideswipe accident, an experienced Manchester NH car accident lawyer can help you recover damages. At the Law Office of Manning & Zimmerman PLLC, we pride ourselves on our experience, client service, and professionalism. Contact us today for a free consultation. How Do Sideswipe Collisions Happen? Sideswipe collisions most commonly involve two cars moving in the same direction that crash into each other. They often occur at high speeds after one driver changes lanes when it’s not safe to do so. Typically, the right side of one car and the left side of the other car will be damaged. The most common causes of sideswipe accidents are drunk or distracted driving and changing lanes without signaling or carefully checking blind spots. This type of collision can also occur when two drivers move into the same lane at the same time. Who Is at Fault in a Sideswipe Collision? Drivers in New Hampshire have a duty to maintain a single lane of travel. If you change lanes, you must do so only when it’s safe to do so. So a driver who leaves their lane and sideswipes another car is considered at fault. If two drivers changed into the same lane at the same time before sideswiping each other, both may be at fault. Fault is usually determined in the accident report completed by the responding police officer, but this is not the final determination. If there is disagreement regarding who is responsible for a crash, ultimately it is a jury that gets to make the decision about how much fault to give each driver. An experienced personal injury attorney can carefully review all the facts and help evaluate what a jury might decide in any given case. 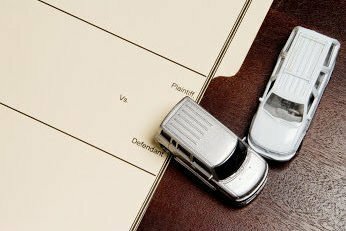 Because New Hampshire is a comparative negligence state, you can pursue a personal injury claim against the other at-fault driver. However, you can only recover if you were 50% or less at fault. If you were 51% or more at fault, you will receive no compensation for your injuries. If you were 50% or less at fault, your recovery will be reduced by your percentage of fault. What Should You Do If You Are Sideswiped? Anytime you are in an accident, you should, first and foremost, tend to your own safety and the safety of others at the scene. Prevent the occurrence or worsening of any injuries by calmly regaining control of your car. Move over to the side of the road without suddenly changing lanes. Call the Police.Once you’ve safely moved over to the side of the road, call the police and request medical assistance if needed. Do not let the other driver convince you not to call the police. You will need the police to create an accident report and gather all the proper information about who is at the scene and what happened. Take Pictures.While you’re waiting for the police to arrive and if you are safely able to, take photos of damage to your and the other driver’s cars and any debris or skid marks on the road. Also, take photos of the accident scene and any injuries you may have suffered. Photos can help prove who changed lanes and caused the sideswipe collision. Gather Witnesses.If there are witnesses to the accident, write down their names, phone numbers, and email addresses. Their testimony will be valuable to proving the other driver’s negligence. Get a Copy of the Accident Report.After a day or so, go to the police station to request a copy of the accident report. Speak With a Lawyer.Even if you don’t have serious injuries from the sideswipe collision, you may need an experienced New Hampshire lawyer. A good car accident lawyer can help you understand the process, gather additional evidence you will need for your case, and protect your rights. If you’ve been in a sideswipe collision, don’t delay. Learn more about how sideswipe collision fault is determined in New Hampshire and whether you can recover compensation for your losses. Contact the experienced Manchester NH car accident attorneys at Law Office of Manning & Zimmerman PLLC at (603) 671-3156 for more information. Experienced. Knowledgeable. Personally Committed to Justice. Imagine driving down the highway after a snowstorm. The roads have been cleared and traffic is moving along. Suddenly, snow and ice fly off the vehicle in front of you and strikes your windshield. It’s unsettling, dangerous, and can be deadly. Since 2002, New Hampshire drivers have been legally required to clear snow and ice off their vehicles before getting on the road. According to the New Hampshire injury lawyers at Manning & Zimmerman Law, Jessica’s Law was named after 20-year-old Jessica Smith. She was killed in a car crash in Peterborough after a 9-foot piece of ice flew off a tractor-trailer, hitting a box truck, which crashed head-on into her car. In spite of the law, according to statistics provided by New Hampshire State Police, some drivers still don’t adequately clear snow and ice from their vehicles. During the month of February, troopers pulled over 268 vehicles under the Negligent Driving Statute, and after a recent snowstorm, one trooper reported stopping 20 vehicles for Jessica’s Law violations in just under three hours! Just last month on Route 202 in Henniker, police reported that snow and ice shattered a motorist’s windshield. And in Massachusetts, a 6-year-old girl was injured when a large piece of ice flew off a tractor-trailer. The ice hit the windshield of the vehicle she was riding in on Interstate 495. 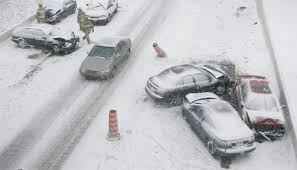 But what should you do if snow and ice from someone else’s vehicle strikes your vehicle and causes damage? Experts say your safety is always the highest priority. Make sure you have control of your vehicle and that you and your occupants are safe. If you can get the license plate of the vehicle responsible that can be helpful to authorities for their investigation. Have you or a loved one been injured by another person’s careless acts? If so, it is essential that you have competent legal representation from the onset of your case through litigation. Big insurance companies have lawyers looking out for their interests and you should too! For a free consultation, contact the New Hampshire injury lawyers at the Law Office of Manning & Zimmerman PLLC. We may be reached at (603) 624-7200, by email at info@MZLawNH.com, or by using the “contact us” or chat feature on our website. We invite you to subscribe to our newsletter. You can also follow us on Twitter. The NH injury lawyers at Manning & Zimmerman Law know that for many people, driving themselves from point A to point B has become a thing of the past. Today we all have access to apps on our phones. We tell the driver where we are and where we want to go, and within just a few minutes we’re on our way to our destination! Statista reports that a recent survey found that about 53 percent of people used ride sharing services in 2017, and that Uber had net revenue in 2016 of $6.5 billion. So who is this driver you’re trusting to be behind the wheel? What are the risks of a car crash, and what is being done to keep you safe? Let’s explore some of the precautions that transportation companies should take to ensure that you get where you’re going safely, and to minimize the risks of car crashes. Various companies take different steps when it comes to hiring their employees. A majority of these companies perform background checks, but is that enough? Uber has come under fire over the past few years due to unsafe conditions for users. New Uber CEO, Dara Khosrowshahi, has taken a deeper look into keeping users safe during their rides. Khosrowshahi has implemented safety standards across the board for Uber drivers, with Uber telling CNN it had started running screenings on their drivers’ driving records every two years, beginning in mid-2017. Uber may be setting the precedent for other transportation companies, but is this enough? As the NH injury lawyers at Manning & Zimmerman Law point out, the National Highway Traffic Safety Administration (NHTSA) reported that 2,046,000 car crashes were the result of driver wrongdoing between 2005 and 2007. With Uber and Lyft servicing more than 195 million users during the first three months of 2018, it is time to look deeper into these modes of transportation and explore ways to limit car crashes across the country. So the driver has a clean record, but what about their car? Is it enough to ensure that the driver has a clean driving record every two years? These background screens will ensure that drivers with clean records are the only ones driving a passenger to and from their destination. However, background checks should not be the only precautions taken. Our NH injury lawyers believe that checking the safety of the vehicles is incredibly important and a crucial aspect of keeping the passengers safe from a hazardous car crash. NHTSA has reported that between 2015 and 2017 more than 44,000 car crashes were the result of critical vehicle-related issues. These car crashes included issues and malfunctions related to the vehicle. For instance, 15,000 car crash cases were related to tire malfunctions. Below we further examine the study of vehicle-related car crashes. It is critical for companies to not only screen the capabilities of the driver, but also the vehicle in use as well. The responsibilities of finding safe drivers with up-to-date inspected vehicles is crucial for transportation companies. The consequences of any negligence in these responsibilities can be fatal. On October 6, 2018, the country witnessed one of the deadliest transportation accidents in the past nine years. 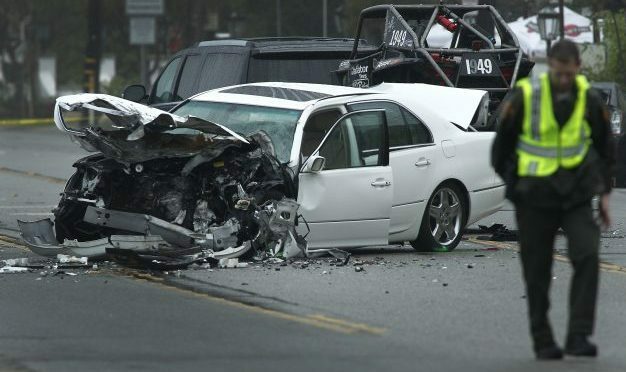 Twenty individuals perished while riding as passengers in a limousine in Schoharie, New York. This was a devastating result of a company not maintaining safe vehicles, and a lack of regulation in the transportation industry which did not allow for this violation of the safety rules to be identified sooner. In an interview with The New York Times, Senator Chuck Schumer demanded stricter transportation regulations. “Stretch limos exist in a gray area. They’re not a car. They’re not a bus. And that’s the problem, they fall through the regulatory cracks and there are no safety standards for them. That has to change,” said the Senator. Companies should be following safety rules regardless of what the regulations require. Tragedies can be reduced by appropriate regulations and by holding the responsible businesses accountable for their actions. If you have been injured by another person’s careless acts, contact the experienced NH injury lawyers at the Law Office of Manning & Zimmerman PLLC. We may be reached at (603) 624-7200 and by email at info@MZLawNH.com. You may also use the “contact us” or chat feature on our website. It is essential that you have competent legal representation from the onset of your case through litigation. Big insurance companies have lawyers looking out for their interests and you should too! According to the Manchester car crash lawyers at Manning & Zimmerman Law, it is very important to buy as much car insurance as you can afford. This recommendation is made to protect you and your family. Insurance is purchased to provide coverage and protection in the event that we harm someone else. Insurance can also protect you if you are injured by someone who has no insurance or insufficient insurance. In New Hampshire, insurance is not required for drivers unless that driver has already had an uninsured at-fault crash. Have you been injured by an uninsured driver? If so, your Uninsured Motorist Coverage will protect you and compensate you and your family for your losses and harms. If someone else causes a crash that results in injuries, you may have an insurance claim. Be sure to gather the other driver’s insurance information, provided they have insurance. You may also have to request a copy of the investigative report from the police department. If the responsible driver has insurance, you will likely receive a phone call or a letter from the insurance company. We do not recommend that you give a recorded statement to the insurance adjuster before you speak with the Manchester car crash lawyers at Manning & Zimmerman Law. Insurance adjusters are trained to take statements that help them delay, deny, and defend against compensating you for your losses. We provide a free consultation for those hurt in a car crash or in any other personal injury matter. If you have been injured by another person’s careless acts, contact the experienced NH car crashes attorneys at the Law Office of Manning & Zimmerman PLLC. We may be reached at (603) 605-0547 and by email at info@MZLawNH.com. You may also use the “contact us” or chat feature on our website. The NH injury attorneys at Manning & Zimmerman Law invite you to subscribe to our newsletter. You can also follow us on Twitter. The New Hampshire car crash attorneys at the Law Office of Manning & Zimmerman see it all the time. A driver is making their way down the road, carefully, responsibly, and obeying all the Rules of the Road. Suddenly, and seemingly out of nowhere, another vehicle causes a collision. If you have been the victim of a car crash, you rightly want to know how that other driver didn’t see you. How did they not see the red light or the stop sign? What could they possibly have been doing that they drove so carelessly, endangering your life and the lives of other drivers, and pedestrians as well? Who would drive like that? Why would they drive like that? We live in an age of ever-increasing distraction. We see people walking down the street all the time with their head down looking at their smartphone. Checking email and texts. Dialing a phone number. Doing all kinds of things except the most important thing; paying attention to what they are doing! Now take the scenario above and place the person as the driver of a car. Talking. Checking email. Texting. Making a music selection. Again, doing all kinds of things except the most important thing; paying attention that what they are doing! Study after study has shown that, despite knowing how dangerous it is to engage in distracted driving, people do it anyway. Teenagers acting like teenagers – while operating a several thousand pound piece of machinery at high rates of speed! Workers stressed out about running late for an appointment. And yes, parents, who despite knowing that they are endangering the lives of their children, do it anyway. In response to the overwhelming evidence that distracted driving was on the rise, the New Hampshire Legislature passed a law in 2015 banning the use of any hand-held electronic devices while driving. The law took effect after a lengthy public education campaign. It warned New Hampshire drivers about the dangers of, and penalties for, driving while distracted. The ban includes the use of hand-held devices even when drivers are stopped at a red light. This means that if you have stopped for any reason without pulling off the roadway, you may not use a hand-held device. Restricted devices include cell phones used for emailing, calling, and texting, as well as GPS systems. Hands-free cellphone operation is permitted. 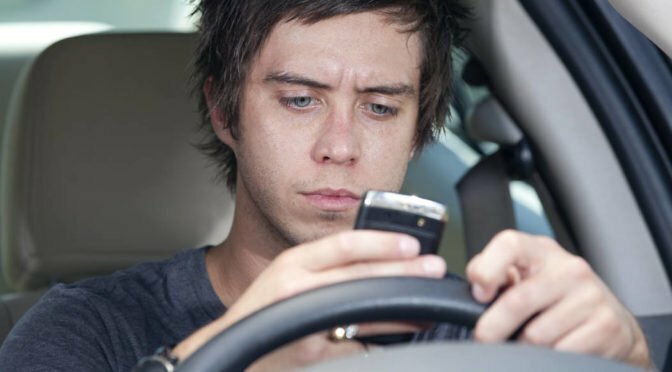 These regulations are stricter than the prior law that only restricted texting while driving. Additionally, all similarly distracting activities are prohibited. The law also bans all minor drivers from any cell phone usage while operating a vehicle, even if they are using hands-free technology. Emergency calls are still allowed. The first offense results in a fine of $100 for those found to be in violation of the law. The second offense results in a $250 fine, and the third offense within two years results in a $500 fine. Additional penalties may be assessed in addition to the monetary fines. If you have been injured by a distracted driver and would like more information on filing a personal injury lawsuit, contact the New Hampshire car crash attorneys at the Law Office of Manning & Zimmerman. We may be reached at (603) 605-0547 or by email at info@MZLawNH.com. Stricter distracted driving laws may enable victims of negligent drivers to receive compensation for their injuries. This includes medical expenses and compensation for lost wages. 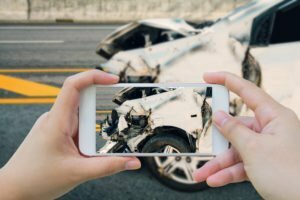 In the aftermath of a collision, good car accident photos can be crucial to building your personal injury case. In fact, they may make the difference between a successful insurance claim and a failed one. That way, you can avoid piling financial insult on top of your personal injuries. We realize it may be tough to remember to take photos in such a stressful situation, but doing so will protect your interests in the long run. At the Law Office of Manning & Zimmerman PLLC, we’re here to help. So let’s do a quick walk-through of the process. What Should I Include in My Car Accident Photos? The surrounding area. This helps put the crash in context. All nearby traffic signs, no matter how minor. Are they partially or fully concealed by anything, like foliage from trees or plants? Any road construction signs and indicators. Any damaged structures, fences, utility poles, guard rails, etc. Next, move on to photos of the vehicles themselves, and the people involved. Start by taking multiple photos of the damage from as many angles as possible. Don’t forget to include the inside of your vehicle. Shoot general photos of all the cars as well, even from angles showing no damage. Be sure to photograph the license plates and the signage showing the makes and models of all vehicles involved. As hard as it may be, photograph your own injuries as soon as possible, then photograph the injuries of your passengers. By the time you end up in court, the injuries will have partially or completely healed. Be aware that some injuries like bruises might not show up for hours or days, so take pictures of those when they appear. The witnesses. You or an investigator may need to speak to them later, and your injury attorney will want to know about them if the accident goes to trial. You may not remember them later, so get a record of who was on the scene. Photograph the police officers on the scene for the same reasons, as well as the other driver(s) and all passengers. Take a many car accident photos as you can, even if that’s far more than you think you’ll need. If you’re using a digital camera, set up the time- and date-stamp properly before you start. Your phone may or may not time-stamp the photos. If it does, the stamp will be based on your cell network’s clock and should be quite accurate. What If I’m Injured and Can’t Take Photos? Ask someone to do it for you. Provide detailed instructions. The more responsible and logical the person taking the car accident photos is, the better. If you’re alone, you may have no other choice but to depend on the police photos taken, if any. Otherwise, you can return to the accident site later to photograph most of the things on the above list. You can photograph the damage to the vehicles wherever the vehicles end up. New Hampshire doesn’t require drivers to carry auto insurance (even Personal Injury Protection), though at-fault drivers have to prove their ability to meet New Hampshire Motor Vehicle Financial Responsibility Requirements. The minimum liability insurance coverage for New Hampshire is 25/50/25, or up to $25,000 per injured person with a maximum payment of $50,000, with a $25,000 maximum for damages. Whatever insurance you have, it may not be sufficient to pay all your costs, especially medical bills. If not, call the Law Office of Manning & Zimmerman PLLC at (603) 624-7200 or by email at info@MZLawNH.com for a free consultation. We may also be contacted by using the “contact us” or chat feature on our website. Immediately following a car crash, people are often rattled and unsure of what to do. The experienced NH injury lawyers at Manning & Zimmerman Law know that by taking a few simple steps, you can protect your legal rights. Most importantly, if you are injured, seek medical treatment right away. Immediate medical treatment offers the best opportunity to avoid additional harm and to make a full recovery. Immediately following a crash, call the police to have them come to the scene and complete a crash report. NH requires that any crash with a minimum of $1,000 dollars in damages be reported to the police. If the police did not come to the scene, you can contact them later to file a report. However, they will likely not do their own investigation or talk to witnesses. Do not move your car until the police tell you to. Unless the cars are creating a safety hazard, wait until the police arrive on the scene to move your car. Allowing the police to document the location of the cars will help if a reconstruction expert is needed. If the police do not come to the scene, be sure to collect insurance information. Write down the other party’s insurance information, including the insurance company’s name and the policy number. If possible, get the names, addresses, and phone numbers of any potential witnesses before they leave the scene. Witnesses sometimes leave before the police arrive, so it is helpful for you if you can get their contact information. Take pictures of the damage to the vehicles. It is also useful to take photos of the injuries sustained in the crash. In addition to pictures, save any other evidence. Was your vehicle totaled, or was any type of malfunction responsible for the crash? If so, you should have your vehicle stored until you can speak with the experienced NH injury lawyers at Manning & Zimmerman Law. This will allow the damages and any problems with the vehicle to be documented. Finally, notify your insurance carrier about the crash. You may be assigned up to three insurance adjustors. One adjustor will likely deal with the damage to your car, one for medical payments coverage, and one for your potential bodily injury claim. The insurance company will likely ask you to sign medical records authorizations and give a “recorded statement” about the crash. We recommend that before you sign any releases or give a statement, be sure to speak with a New Hampshire injury attorney at Manning & Zimmerman Law. Have you or a loved one been injured due to another person’s careless acts? If so, it is essential that you have competent legal representation from the onset of your case through litigation. Big insurance companies have lawyers looking out for their interests and you should too! For a free consultation, contact the NH injury lawyers at the Law Office of Manning & Zimmerman PLLC. We may be reached at (603) 605-0547 or by email at info@MZLawNH.com. We may also be contacted by using the “contact us” or chat feature on our website. Are you seeking damages after a car crash? If so, the NH injury lawyers at Manning & Zimmerman Law will be able to help you calculate the total amount of compensation to which you are entitled. You will need to recover any lost earnings as part of the compensation you seek. Did you miss working any overtime while you were off? How much time were you off work due to your injury? Did missing work cause you stress or concern about losing your job or being able to complete assignments? How much money would you earn as a result? Did you use vacation or sick time in order to cover the time off? Did missing work impact any opportunities for promotions? The issue of time off work becomes even more complex if you suffer a permanent partial disability as a result of the crash. In addition, you might be placed on restricted duty with less pay after the crash. Our personal injury attorneys can help you determine lost income in this event. The U.S. government has data that addresses decreased earning capabilities for anyone who suffers a partial or permanent disability. A person working on straight commission or is self-employed might have some difficulty proving their amount of lost wages. You might be able to compare income tax records to show the difference in earnings before and after the crash. However, if you experience an increase in earnings, you will likely need to call on an industry economic expert in order to verify the related losses. You can also include the cost of hiring any substitute workers when calculating damages. Determining lost earnings is an important part of resolving your lawsuit. At the Law Office of Manning & Zimmerman PLLC, we will help you calculate this figure, and any other monies you may be due, in order to arrive at a fair and just amount of compensation following a car crash. For a free consultation, contact the NH injury lawyers at the Law Office of Manning & Zimmerman PLLC. We may be reached at (603) 671-3156 or by email at info@MZLawNH.com. We may also be contacted by using the “contact us” or chat feature on our website. The NH injury lawyers at Manning & Zimmerman Law invite you to subscribe to our newsletter. You can also follow us on Twitter. According to statistics compiled by the National Safety Council and the National Highway Transportation Safety Administration, the number of car and truck crashes causing serious injuries continue to rise in New Hampshire despite the fact that there are an increasing number of safety features in automobiles. Following a New Hampshire car crash, you will be asked by paramedics and first responders how you are feeling. They will likely ask if you wish to be taken to the hospital. You may not be feeling severe pain immediately following a car crash. It is still a good idea to be examined by the EMT and consider immediately going to an emergency room. Particularly with soft tissue neck, back, and shoulder injuries, the onset of pain and symptoms may not occur until days or even weeks following a crash. 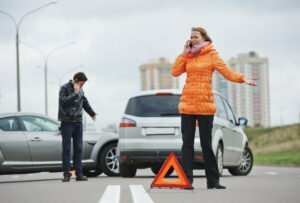 This article will explore some treatment options you should consider following a New Hampshire car crash. We also look at the way insurance companies will likely view these treatment decisions. Immediately following a crash, if you are injured it is important that you seek medical treatment. You should consider not driving yourself and you may be better off traveling in an ambulance or having a friend or family member (i.e. who comes to the accident scene) take you to the hospital. If an insurer learns you did not seek treatment following a crash, it will affect how they view your case. The same is true if you drive yourself to an emergency room for treatment. Rightly or wrongly, insurance adjusters believe that if you did not seek immediate treatment following your crash, or if you were “well enough” to drive yourself to a hospital, then you must not have been injured all that badly. Your best bet is to seek emergency room treatment immediately following a crash if you feel you have been injured. This is true even if you don’t feel intense pain or don’t believe you have been injured seriously. Unless you have emergency medical training, it is better to be safe than sorry. Ordinarily, emergency medical technicians (EMTs) and emergency room personnel will ask you where you feel pain upon examination. Be sure to answer their questions completely and be thorough in describing your present complaints and symptoms. Emergency room physicians and nurses typically dictate a report which is then reduced to writing. These emergency room reports, along with all other imaging studies (such as x-rays and MRI’s taken at the emergency room) and medical treatment reports following the crash, are forwarded to the defendant’s insurance company for consideration. Be as thorough and specific as possible when describing your symptoms to EMTs, emergency room personnel, and physicians. Prior to leaving the emergency room, the doctor will likely provide you with some discharge instructions for treating your medical condition (such as taking medication on an as-needed basis, doing home exercises, or following up with your doctor or a specialist). If the ER doctor recommends that you follow up with your primary care doctor – or with a specialist or physical therapist – you should do so as soon as possible. When a physician makes those kinds of recommendations, it is essential that you follow through. 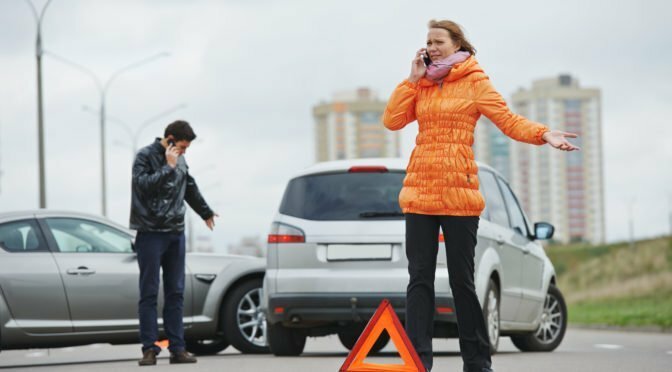 Failing to do so could severely affect your recovery and could have negative ramifications on your case in the eyes of an insurance company adjuster. You should fully comply with any discharge instructions provided by an ER physician prior to your discharge. If you have been injured and it is not safe for you to be driving, it is important that you avoid driving yourself home from the emergency room following your examination and treatment. Again, from an insurance adjuster’s perspective, driving home from an initial emergency room visit (or to/from any medical or physical therapy appointment following an accident) raises questions as to the seriousness of the injuries you’re claiming you sustained. Following a New Hampshire car crash, if you have been seriously injured and need to rely on others for transportation to and from medical appointments, then you should do so. It is important to limit your activities and give your body (and mind) time to rest and get better. You may want to keep a journal of your activities in the days following your crash. At a deposition or trial, you may be asked what you were able to do and not do as a result of your injuries. Whether you were home due to your injuries, as opposed to being able to get right back into your regular routine, will be important information. Initial medical treatment following a New Hampshire motor vehicle crash can be stressful and painful. The best thing you can do is to surround yourself with a support system of dependable family and friends. They will be needed for transportation to/from medical appointments and for care as you begin the injury recovery process. The last things you want to worry about during this initial treatment period are legal filings and deadlines. That’s where the experienced personal injury attorneys at the Law Office of Manning & Zimmerman PLLC will be of assistance to you. There are no up-front costs for our services. All personal injury cases are handled on a contingency basis. We are only paid for our services if we successfully recover damages from the responsible party. For a free consultation, contact the NH personal injury attorneys at the Law Office of Manning & Zimmerman PLLC. We may be reached at (603) 239-2101 or by email at info@MZLawNH.com. We may also be contacted by using the “contact us” or chat feature on our website. 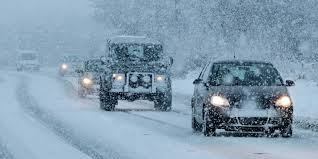 Driving in the snow increases the risk of a crash because the roads are wet and potentially ice-covered, and it reduces visibility. You cannot do anything about the roads being snow and ice-covered, but there are steps you can take to improve your visibility. Make sure you have good wipers that do not scrape or catch on the surface of your windshield. If you have a wiper for the rear window of your vehicle, check it as well. Replace any wipers that are worn out and not effectively clearing your windshield. The best wiper blades in the world will not do you any good if your windshield wiper controls are not working. Properly functioning controls are an essential piece of safety equipment for your vehicle. If your wiper controls begin to malfunction, immediately take your vehicle in for repair. Weather can be unpredictable, and having broken wiper controls is an unacceptable risk. • Brightness – How well do they light your path? • Distance – How far down the road can they illuminate? • Haze – Do you have build-up on the surface of your headlights? If your headlights are no longer sufficiently doing the job, you can replace the bulbs. Even if only one bulb is not working well, replace the bulbs in both headlights at the same time. This is an inexpensive safety upgrade. If your headlights are covered with a dull build-up, try removing the build-up to improve performance. There are many good products on the market for removing the build-up and then sealing the headlight covers to protect against future build-up. In some snowy conditions, your high beams might cause glare and reflection. If this is the case, consider using your low beams if they provide sufficient illumination. The defogger for your windshield and your rear window need to be working properly to prevent your windows from fogging up and obscuring your view. If your defoggers are not working correctly, take them in for repair right away. For a free consultation, contact the Manchester injury attorneys at the Law Office of Manning & Zimmerman PLLC. We may be reached at (603) 239-2315 or by email at info@MZLawNH.com. We may also be contacted by using the “contact us” or chat feature on our website. The NH personal injury attorneys at Manning & Zimmerman Law invite you to subscribe to our newsletter. You can also follow us on Twitter.